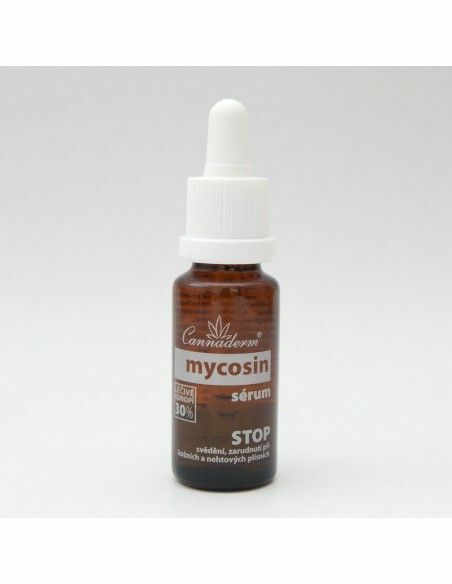 Mycosin serum with a slightly acidic pH for special care of itchy, dry, red and sensitive skin tending to the incidence of cutaneous fungal or yeast infections (mycoses). Certified natural organic recipe of serum supports the natural regenerative ability of skin cells and increases the immunity of the skin against yeasts and molds. Serum softens the skin and quickly soothes unpleasant concomitants of skin fungi such as itching and burning of the skin. Shake well and gently rub the affected area. 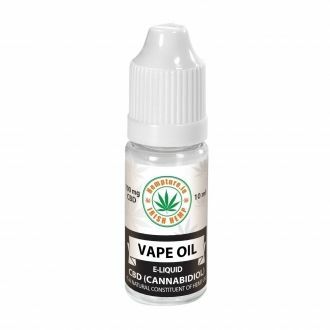 Can be added a few drops of serum treating cream or milk. Do not use serum for the treatment of eye area and mucous membranes. Not suitable for children under 3 years! 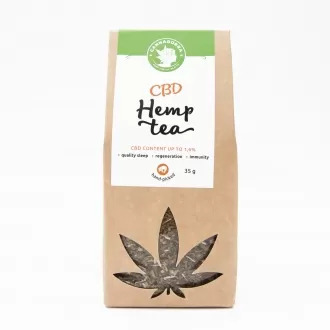 Ingredients: Alcohol Denat., Cannabis Sativa Seed Oil, Arnica Montana Flower Extract, Glycerin, Eugenia Caryophyllus Flower Oil, Aqua, Citrus Grandis Seed Extract, Sodium Caproyl / Lauroyl Lactyl Lactate, Triethyl Citrate, Menthol, Salvia Officinalis Leaf Oil, Salicylic Acid, Lactic Acid, Eugenol, D-Limonene, Geraniol, Linalool, Benzyl Salicylat.